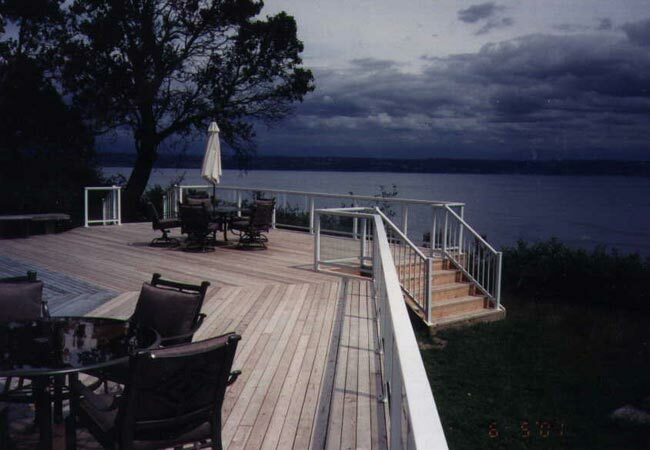 Vashon Island A large remodel that expanded the deck and added a railing system. 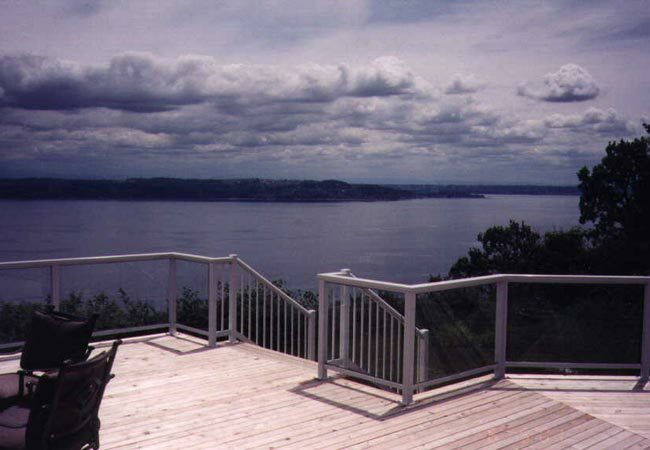 The new deck allowed for an uninterrupted view to the southeast of Brown’s Point and Mt. Rainier. 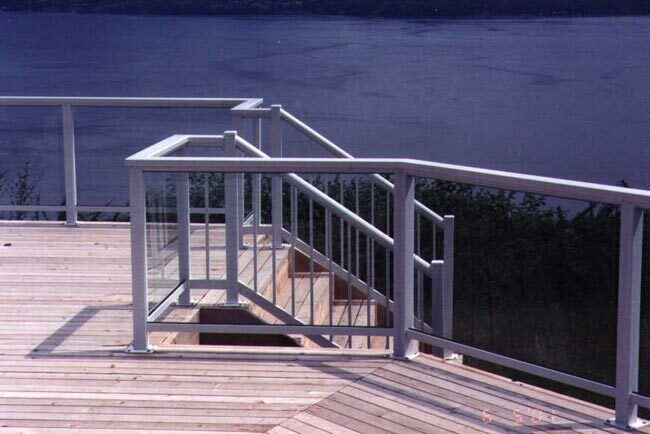 The owner chose a picket side mounted railing system for this project. 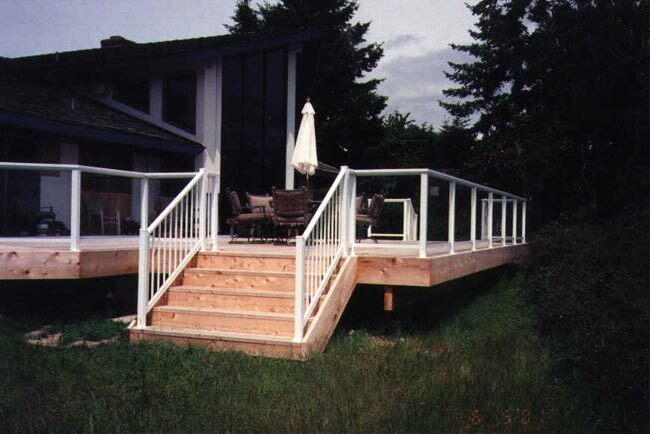 Trellises were used for privacy and to enhance the overall look of the finished product. 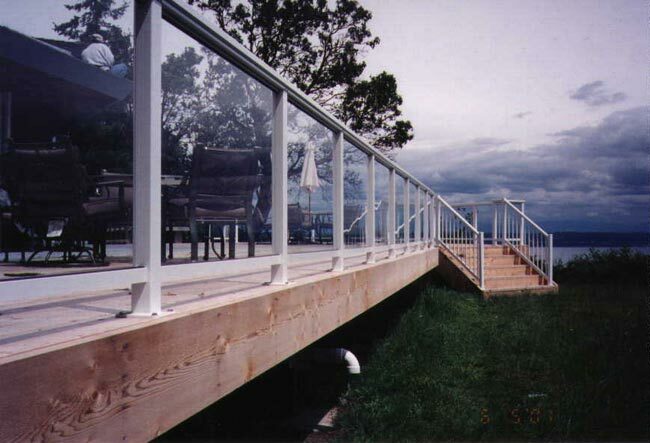 The deck was waterproofed and flashed at the edge. We had to use a solid aluminum spacer to offset the posts away from the flashing as shown in the photos. We added flashing under the system to cover the fascia and carry water off and into the gutter. Several heights of posts were used due to the sloped roof and the height change in the roof at the steps. Some of the close-ups show the side mounted application well.